The owners of this estate property felt the existing pool felt dark and dated and while the existing pool included laminar jets, there was no real strong focal point, and it also included a rarely used spa that they wanted to remove. 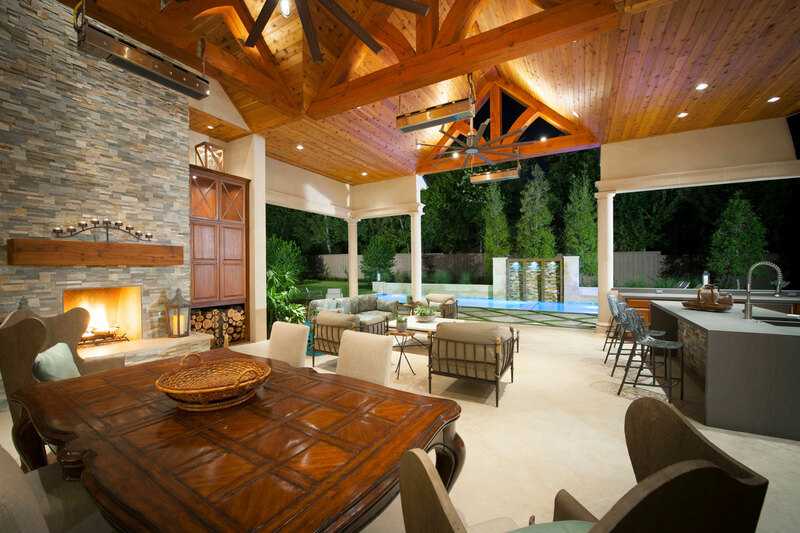 They decided to increase their outdoor living by adding on a large living, dining and kitchen area as well as completely gutting and remodeling the pool. We refreshed the feel of the pool with Leuder limestone coping, a beautiful aqua gem stone glass tile and Martinique plaster. The addition of the 6' x 6' waterwall became the focal point throughout the formal areas of the home. The owners of this estate property decided to increase their outdoor living by adding on a large living, dining and kitchen area as well as completely gutting and remodeling the pool. 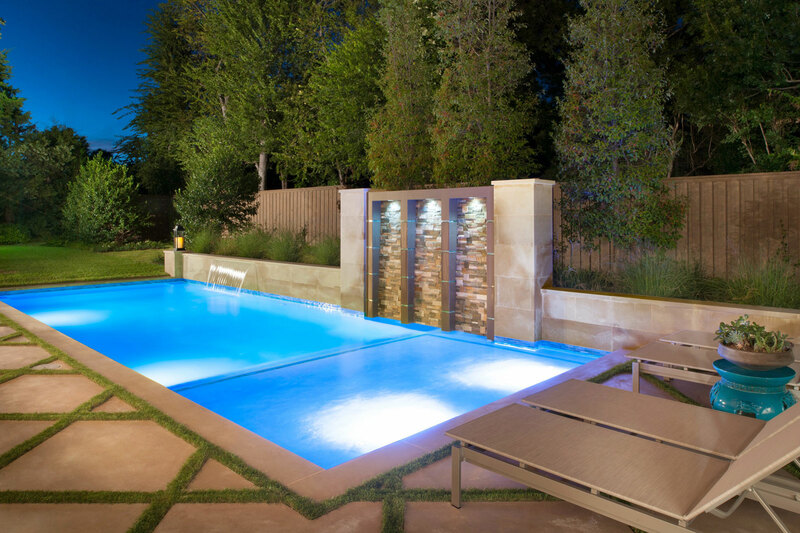 They felt the existing pool felt dark and dated and while the existing pool included laminar jets, there was no real strong focal point, and it also included a rarely used spa that they wanted to remove. We refreshed the feel of the pool with Leuder limestone coping, a beautiful aqua gem stone glass tile and Martinique plaster. 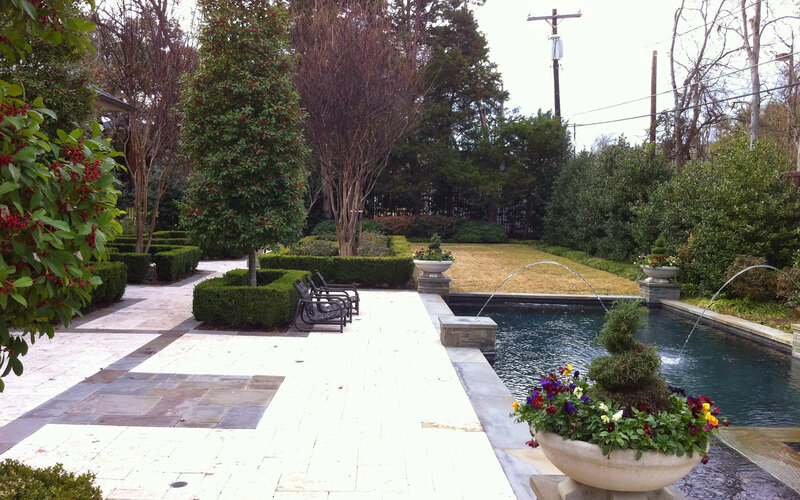 The addition of the 6' x 6' waterwall became the focal point throughout the formal areas of the home.